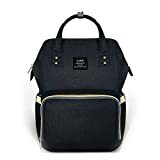 In our quest to provide the most comprehensive and resourceful information and answers to our readers, we have decided to research and compile what we believe are the top 25 best cheap car seats under $100 available on the market. Suffice to note that ‘cheap’ is ONLY in reference to price NOT QUALITY. The love, care and pride you feel for your infant is unparalleled in your life. 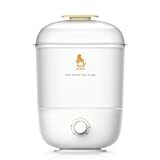 Despite the endless stream of cliches that you’ve already heard a million times, preaching the virtues of parenthood and how much it changes your entire philosophy of life, you can’t help but agree with every single one of them. 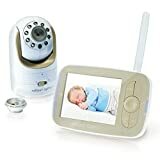 That said, making sure your baby is safe is the most important thing in the world to you but, because it’s not a perfect world and you still need to live within a tight budget, no matter the amount of love you feel. 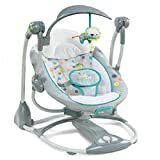 Thankfully, most of the largest infant car seat manufacturers in the world understand this push and pull between love and money constraints, designing a number of infant car seats that aren’t only friendly to your budget but, most importantly, safe, comfortable and reliable for your baby. 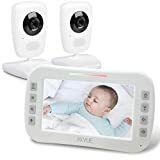 While these car seats might lack all of the bells and whistles of the more expensive models, most are still made of the highest quality to ensure the safety of your infant. Available in a number of different styles, fabrics and features to choose from, as this guide will prove, there’s a car seat out there to fit even the tightest of budgets. So to make your life just a bit easier, we’ve chosen these 25 best cheap car seats under $100 that are readily available on the market right now so you can make a smart educated decision on a product that will protect that little one you love so much. 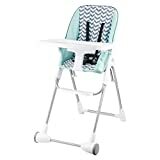 For good measure, we’ve included some convertible and booster seat options as well for those times when you are looking for extra convenience as your child grows. 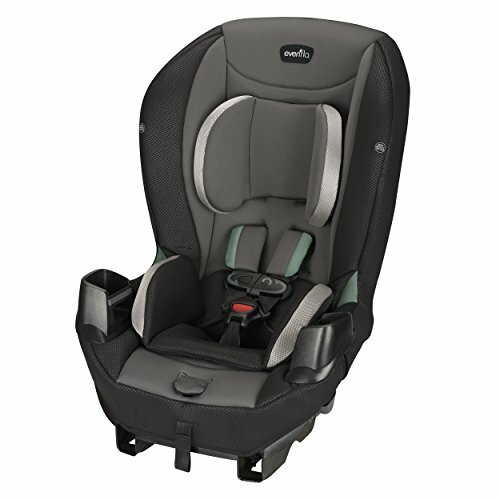 The Safety 1st Light ‘n Comfy Elite Infant Car Seat aims to for a safe, comfortable fit for your infant. 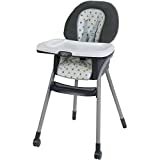 With an adjustable 5 point harness and weight tolerance of 4 to 22 pounds, the seat is appropriate for newborns and older babies as well. 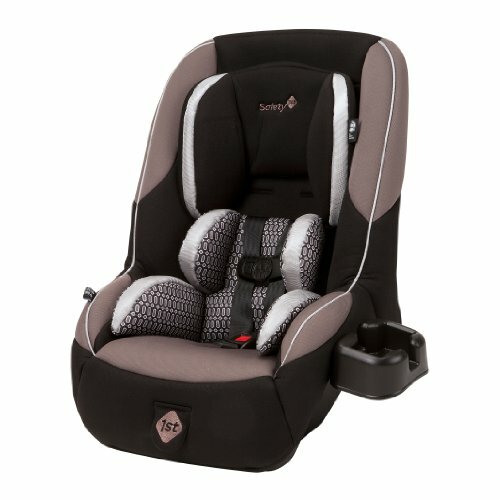 The seat boasts four harness heights so it can grown along with your little one. 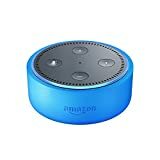 With it’s lightweight but durable construction, it’s easy to take in and out of the car and walk around with once detached from the base. 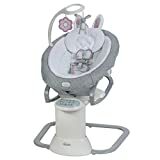 For those first few trips in the car, the Safety 1st Light ‘n Comfy Elite Infant Car Seat, Brookstone Blossom also comes with an insert to provide extra snugness for the newborns. 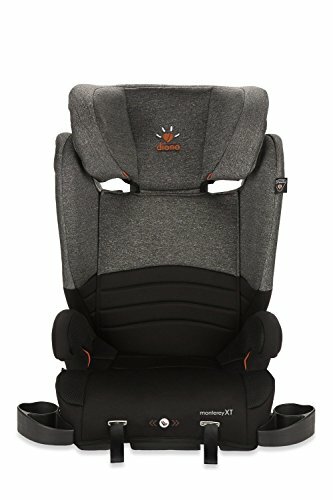 It’s one of the best cheap car seats under 100 available. 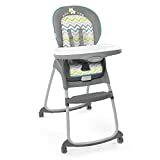 The Safety 1st Light ‘n Comfy Elite infant car seat is an excellent choice for the price and will grow along with your baby. 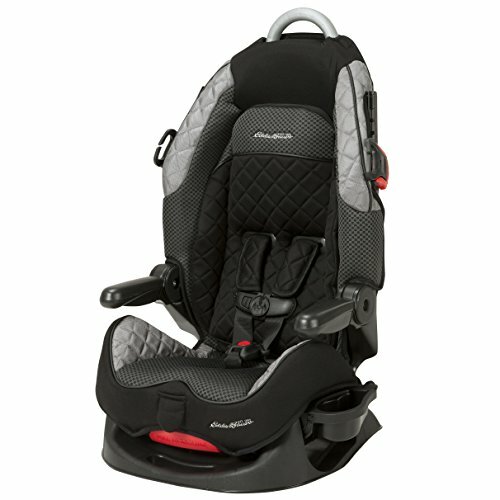 Definitely deserves a spot as one of the top 25 best cheap car seats under $100. 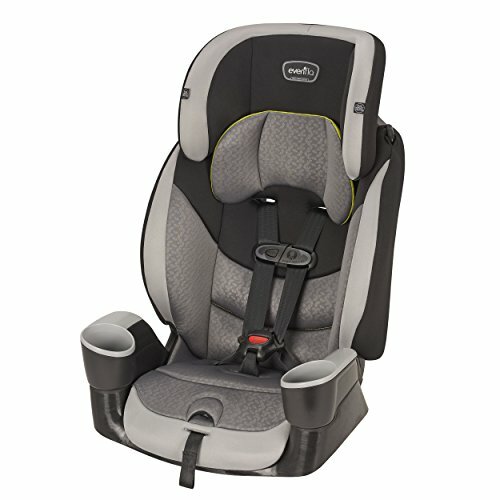 The on Board35 Air Protect plus infant car seat from Safety 1st uses technology to give your infant extra protection and comfort. 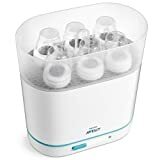 Utilizing what Safety 1st calls their Air Protect cushion system and GCell HX foam, the car seat is noticeably fuller, provided additional snugness around the head. Together they provide full body side impact protection. The updated base offers 5 different angles to choose from, making it easy to get the right fit for your family’s car, which helps you give your baby a safer ride. 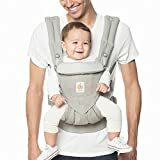 A harness specially designed to fit smaller babies gives a snug fit, while the additional leg room on the onBoard35 Air easily accommodates the growing baby in a rear-facing position from a tiny one 4 lbs on up to a tall 35 pounds. Keeping the seat clean is easy than ever thanks to a machine washable seat pad. Yet another one of the top 25 best cheap car seats under $100 on the market. 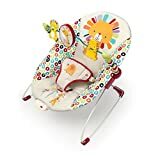 Among the pricier of the below $100 crowd but if found on sale, the Safety 1st Onboard 35 Air+ Infant Car Seat, Plumberry is a great seat at a fantastic price. In other words, deserves its place as one of the top 25 best cheap car seats under $100 if you do some price research. The Cosco Light N Comfy DX, Posey Pop is one of the lighter seats on the market today. 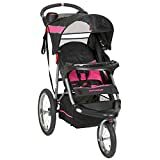 It’s designed for children from 4-22 pounds with a secure 5-point harness that adjusts from the front and Side Impact Protection. 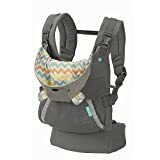 With 4 harness heights, you can adjust the harness to the best fit for your infant while keeping their head safe and snug it’s very easy to move in and out of the car so the convenience is a big plus. 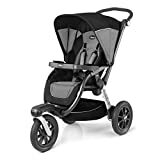 Very similar to its cousin seat, the Safety 1st Light ‘n Comfy Elite, the Cosco Light N Comfy DX, Posey Pop is a stylish seat that is comfortable and safe for your little one. It’s an example of yet another one of listed 25 best cheap car seats under $100. 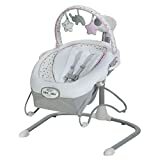 One of a handful of seats co-branded by Disney, the Disney Baby Minnie Mouse Light N Comfy Luxe Infant Car Seat, Minnie Dot is seat is very cute and likely a big hit with any little girl. 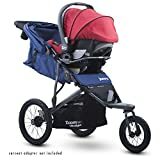 It’s built to keep your child comfortable up to 22 pounds and offers Side Impact Protection for a safer ride. 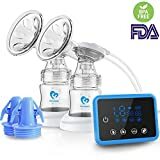 It’s designed to be extra-lightweight for easy transport outside of the car and features a deluxe foot cover and a mouse ear infant insert. 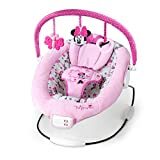 The Disney Baby Minnie Mouse Light N Comfy Luxe Infant Car Seat, Minnie Dot is seat isn’t being manufactured anymore but a few are still available online. 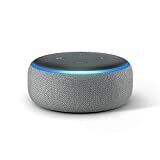 It’s a fantastic bargain if you can get one. 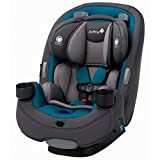 The Disney factor alone makes it one of the best cheap baby car seats out there and worthy of inclusion on our list of the top 25 best cheap car seats under $100 price tag. 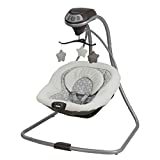 The Disney APT Convertible Car Seat, Mouseketeer Minnie allows babies to remain in a safer rear-facing position from a tiny 4 pounds up to 40 pounds and 40 inches in height. 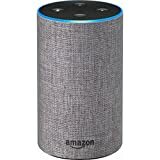 It also features a forward-facing position for children 22-40 pounds and 43 inches in height. The mouse ears head rest is pretty adorable but, more importantly, seems to provide a very snug fit for the smaller kids. 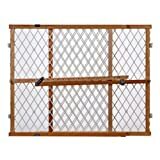 It has multiple harness heights and buckle locations for added convenience in getting it in and out of the car. 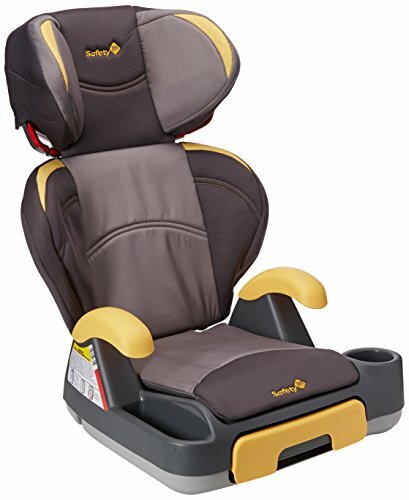 Not to mention that its is one of the best cheap car seats under $100 available. 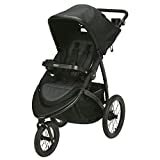 Cute, functional and great for the price, the Disney APT Convertible Car Seat, Mouseketeer Minnie seat will easily accommodate your growing infant. 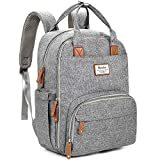 It has earned it’s title as one of the top cheap car seats and, more specifically, one of the best cheap car seats under 100 available on the market. 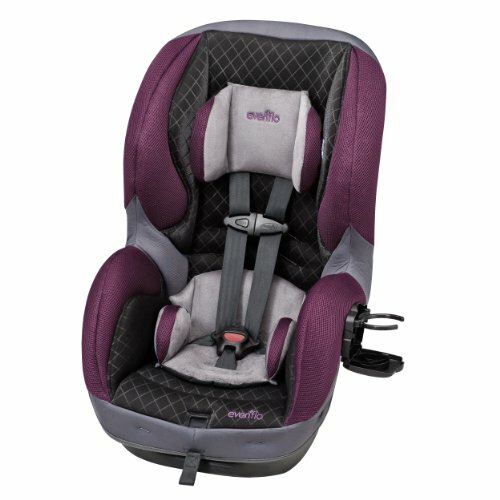 The Evenflo Tribute Sport Convertible Car Seat, Maxwell is a sturdy, solid seat for the larger kids that still manages to be light enough to make moving it around easy. 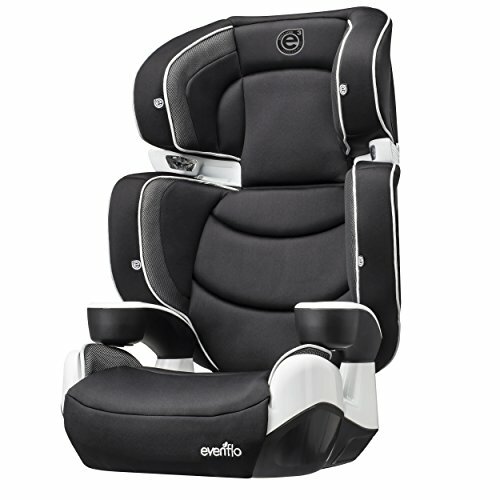 EvenFlo obviously kept grandparents and friends in mind since the seat is designed to be easily moved between multiple cars. It’s one of the better, high quality convertible seats on the market and kids seem to really be comfortable in it. 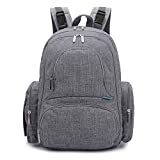 In other words, considering what the Evenflo Tribute Sport Convertible Car Seat, Maxwell has to offer, it is a sure bargain and definitely one of the bargain best cheap car seats under $100 price tag that you can buy. The Evenflo Tribute Sport Convertible Car Seat, Maxwell is another fantastic convertible seat for the price from one of the industry’s biggest and best names. 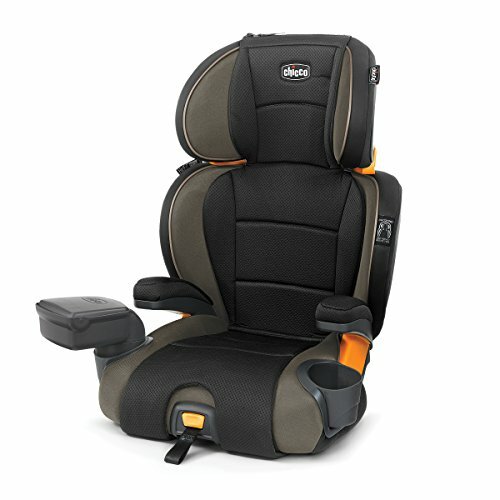 Very deserving of its inclusion as one of the 25 best cheap car seats under $100 price.8. 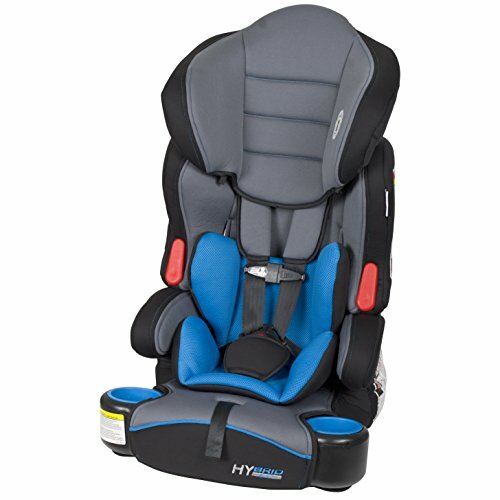 The Graco Atlas 65 2-in-1 Harness Booster Car Seat, Nyssa is designed to grow with your child. 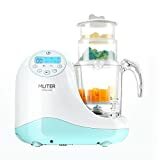 It has a harness booster from 22 to 65 pounds to a high back booster 30 to 100 pounds. One of the better features on any seat, the headrest and harness adjust together so it saves a lot of time and hassle as your child grows. As a matter of fact, it even has a harness storage pocket built into the seat to make everything very convenient. The cup holders and washable cover are nice for longer car rides that can get a bit messy. 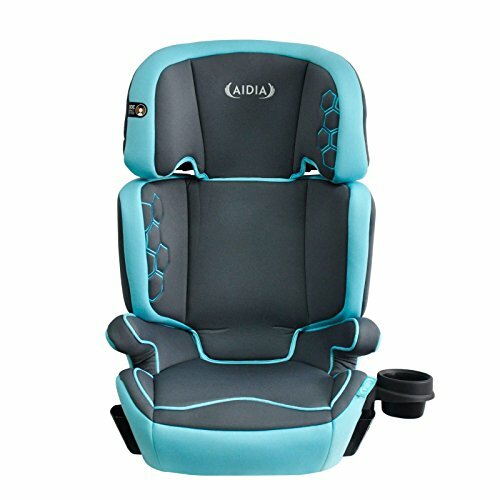 It’s combination of function and features make it one of the top cheap car seats out there. 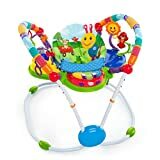 The Chicco KidFit 2-in-1 Belt Positioning Booster, Atmosphere is seat is pretty amazing for the level of customization you get for the money. In total, ten different headrest and harness combination are available so that finding a cozy size for your child won’t be a problem. 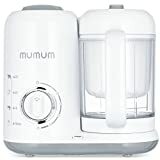 It also feels very soft to the touch and very convenient with the simple latch systems. Buckling and unbuckling this seat is never a hassle like it can often be with other seats. 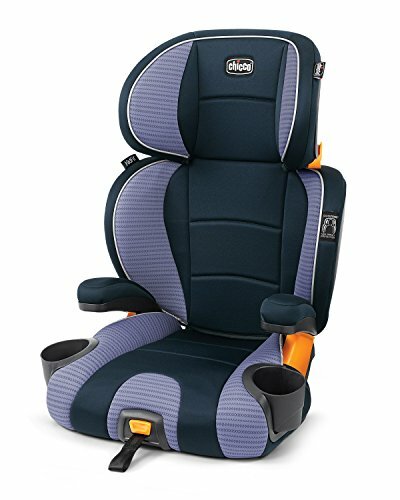 While not one of the biggest names in car seats, Chicco really did well in designing the Chicco KidFit 2-in-1 Belt Positioning Booster, Atmosphere seat for both the child and the parent and it’s very deserving of its place as one of the top 25 best cheap car seats under $100 price. 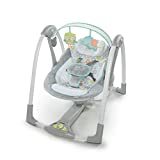 The Chicco KidFit 2-in-1 Belt Positioning Booster, Atmosphere is another great convertible seat that will easily accommodate your growing toddler. To reiterate, this is one of the top cheap convertible car seats available. 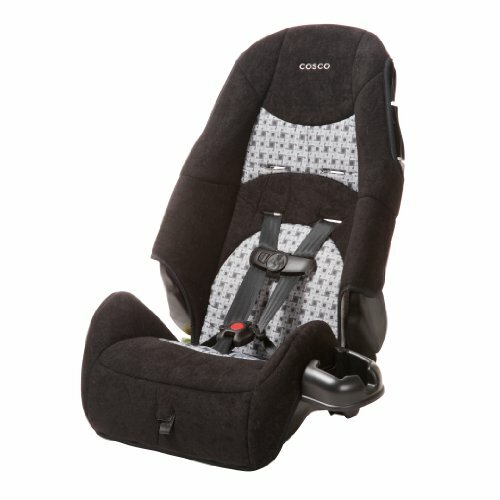 The Graco My Ride 65 Convertible Car Seat, Go Green is a good option when you’re searching for a simple car seat for your child. 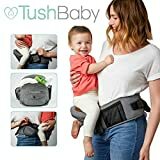 It’s designed to help protect your rear-facing infant from four to 40 Pounds. 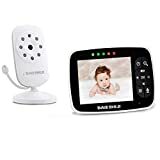 The rear-facing mode has a higher weight rating than many infant car seats available, which is the preferred direction for newborns and infants. 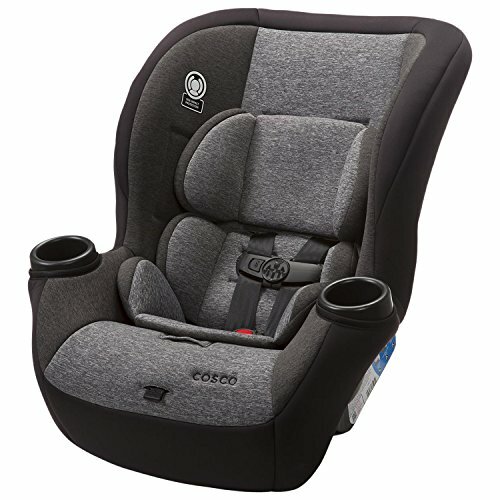 This another instance of one of the best cheap car seats under $100 available in stores. 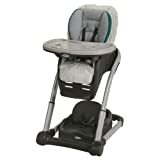 The Graco My Ride 65 Convertible Car Seat, Go Green is wonderful seat with lots of great customer reviews and excellent star rating which all make it qualify as an undisputed candidate for inclusion on our list of the top 25 best cheap car seats under $100 price. KidsEmbrace Friendship Series seats shine when the children are tired of riding in a car seat but see the characters and immediately get in a better mood. 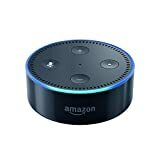 It exceeds all Federal testing requirements so it’s definitely a safe choice. 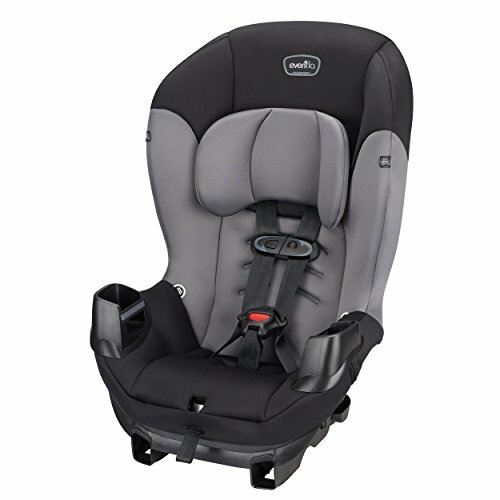 The car seat was designed for comfort with additional seat padding and a deep headrest for superior side impact protection. 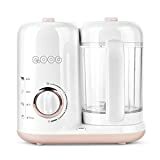 The seats have 2 large arm rests with cup holders designed into the seat for comfort and making sure your child has their favorite drink and snack. 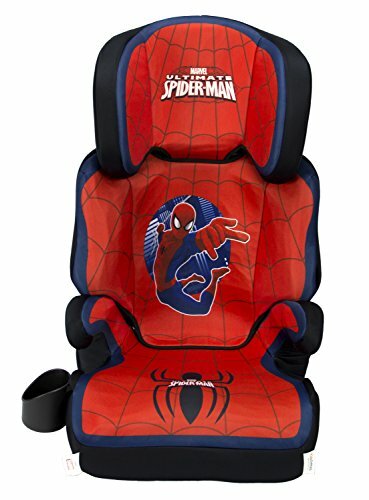 One of the most fun and best cheap car seats. A stylish seat with many fun characters to choose from, the Nickelodeon KidsEmbrace Combination Toddler Harness Booster Car Seat, Paw Patrol Marshall is a great pick for your toddler if you can find it on sale. 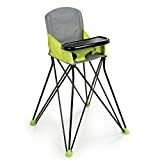 This is a great, straight-forward and simple seat that will fit your child all the way up to 50 lbs. 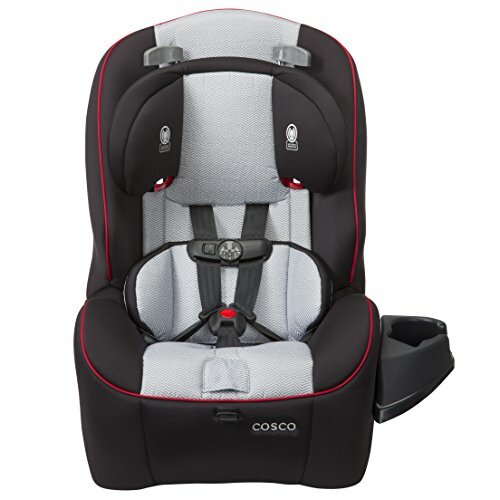 The Cosco Apt 50, Black Arrows features Side Impact Protection and 4 harness heights to fit as they grow. 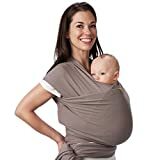 It seems to be comfortable and, thankfully, has a machine washable cover for the endless spilled sippy cups and cracker crumbs. 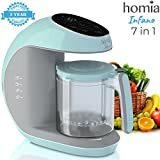 It also has two built-in cup holders to make your life and your toddler’s just a bit easier. Again, one of the best cheap car seats. 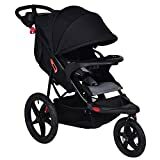 A stylish, sleek look for a smaller convertible for kids up to 50 lbs, the Cosco Apt 50, Black Arrows is a great seat for the money and a 25 best cheap car seats under 100 qualifier. 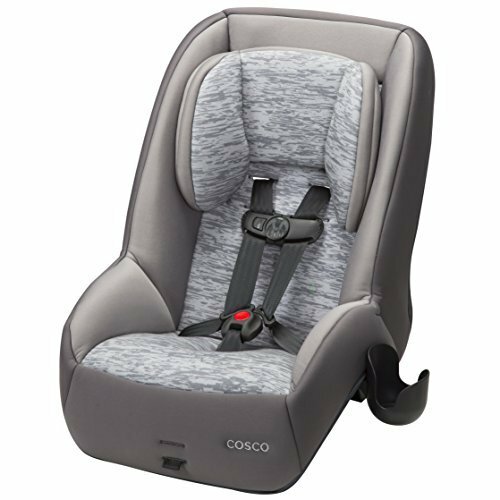 The Cosco Highback 2-in-1 Booster Car Seat, Cam is another no-frills seat that is purely designed to give you the most bang for your buck. 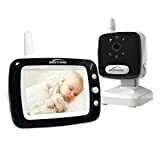 It’s high quality, doesn’t have a lot of bells and whistles, but will keep your child safe and comfortable in the car. 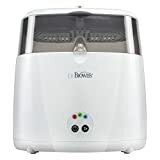 This is a no-frills booster seat that’s very safe, very functional and very good for the money. 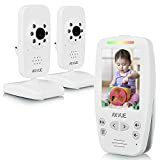 No bell and whistles here, just quality and value for your toddler. 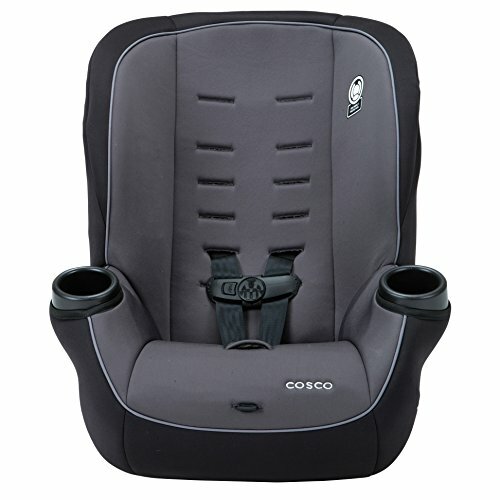 In other words, the Cosco High Back Booster Car Seat is definitely one of the best cheap car seats under $100 price. 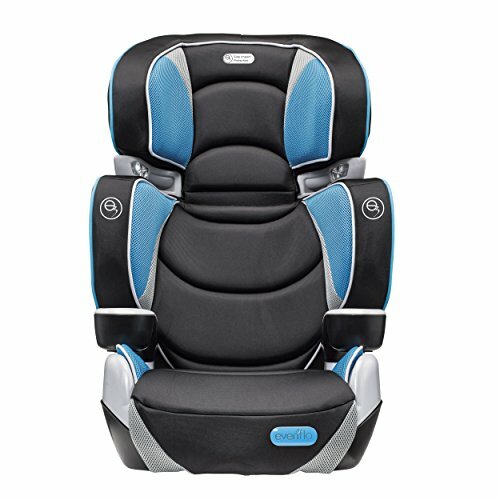 The Diono Monterey is a full featured, expandable high-back booster seat designed to fit children from 30 lb to 120 lb. 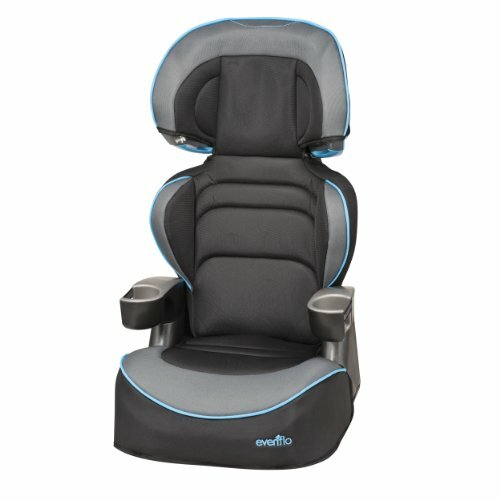 The Diono Monterey Highback Booster Seat features unique all around protection with EPS foam including the seat bottom and arm rests. 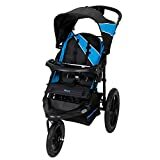 Its wings are reinforced with metal for side impact protection and a structured seat base for strength that strengthens the car seat and provides additional support against crash forces. A simple to use dial on the back adjusts the width of the seat to fit a child’s shoulders up to 20″ wide. The 11-position headrest gives decent flexibility and adjusts up to 6.5″ in height with one hand for snug fit. For a fixed booster, the LATCH system is convenient and easy to use. The seat bottom has extra length for leg support and is comfortable for taller kids. 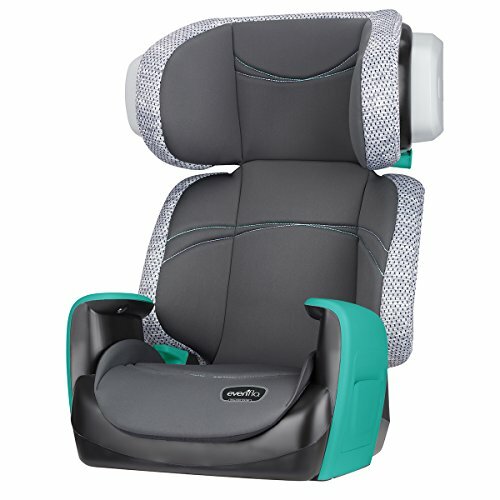 The back support is removable and the seat features cup holders for the snacks on a long car ride. One of the best cheap car seats on the market. 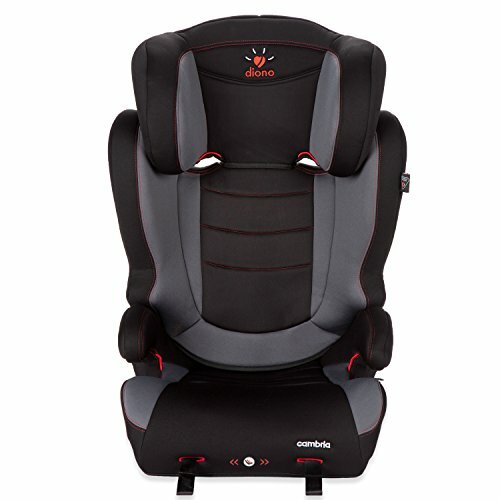 The Diono Monterey Highback Booster Seat is yet another fantastic booster seat if you can find it on sale for under $100. 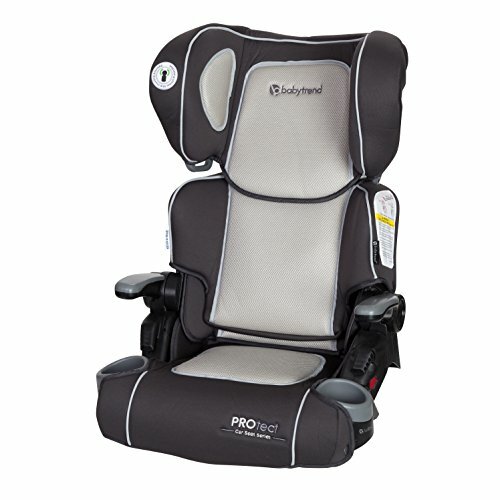 One of the best cheap car seats under $100 price for children. Diono’s Cambria is very similar to their Monterey model with just a few minor, very subtle differences. They are essentially the same seat, though. 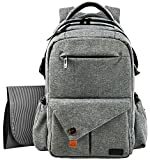 It also features reinforced sides that are lined with foam for side impact protection. The 6-position headrest adjusts up to 6.5 ” in height with one hand for additional convenience. Integrated latch connectors with front adjusters allow for a secure installation in just a little bit of time. The seat bottom has extra length for leg support and features thick foam and tapered sides for extra comfort. Like the Monterey, it features cup holders for drinks and snacks. 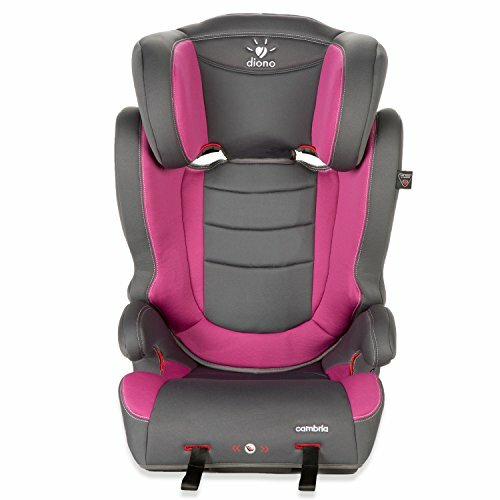 Also like the Monterey, the Diono Cambria Highback Booster Car Seat, Raspberry is one of the best cheap car seats under $100 price for children. 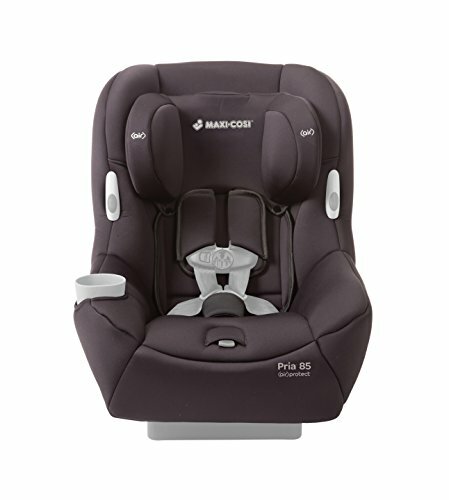 Basically the exact same seat as the Monterey, the Diono Cambria Highback Booster Car Seat, Raspberry is another great bargain if found on sale. 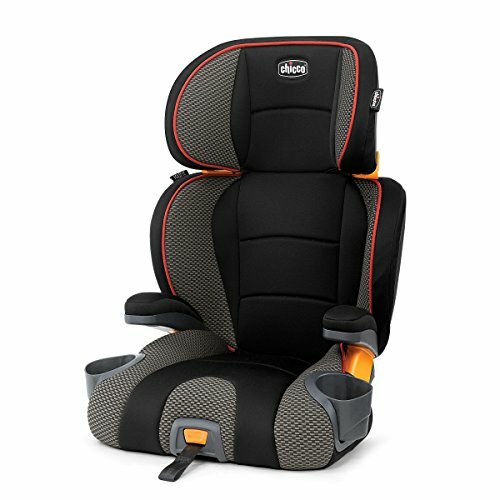 Once again, one of the best cheap car seats under $100 for children on the market today. 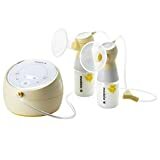 The Safety 1st Store ‘n Go Backless Booster is designed to give a fun vibe to car rides for your child and seems to do an adequate job at it. 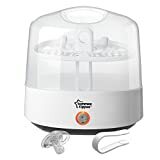 This belt-positioning booster seat is designed for children from 40-100 pounds and features a pull out storage drawer that keeps your child’s stuff easily reachable while they remain safely buckled into the seat. It cannot be overemphasized how convenient this is on a long car ride. 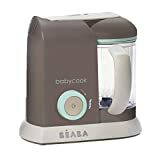 The drawer has a kid-friendly latch that keeps it closed once shut, but is easily opened while your child remains sitting securely in the seat. Like most seats, it features cup holders for snacks and drinks. 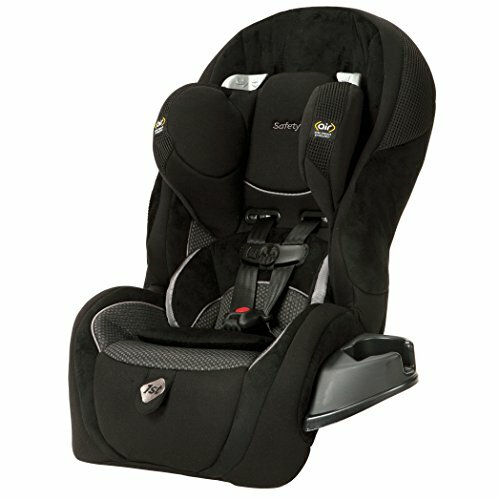 The Safety 1st Store N Go with Back Booster Car Seat, Adventure is one of the best buys on the list from a great manufacturer. At such a bargain price, this car seat is tough to beat. 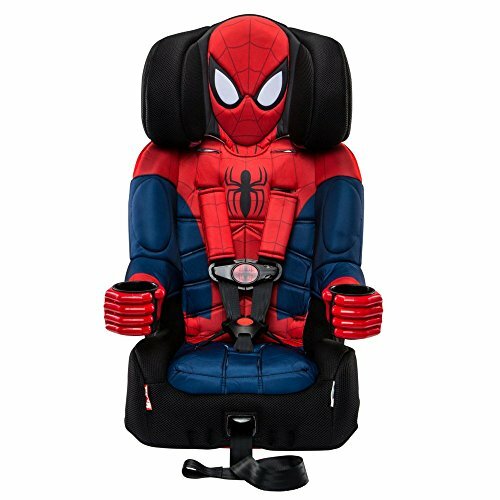 The WB KidsEmbrace Belt Positioning High Back Booster Car Seat transitions to Backless Booster, Batman is another great choice from KidsEmbrace, this time featuring comic book heroes for the little ones that think they’re super heroes. The designs are really fun and unique. 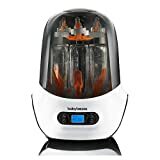 The high back can be used for children over 3 years old, 30 to 100 pounds and 38 to 57 inches in height and converts to a backless booster seat for children at least 4 years old, 40-100 lbs, and 40″-57″ in height. 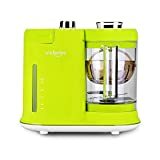 It’s comfortable, easy to keep clean with a wipe or quick wash and has a cup holder. 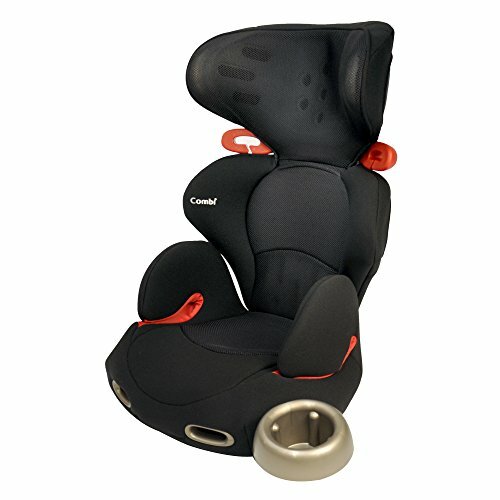 The WB KidsEmbrace Belt Positioning High Back Booster Car Seat transitions to Backless Booster. 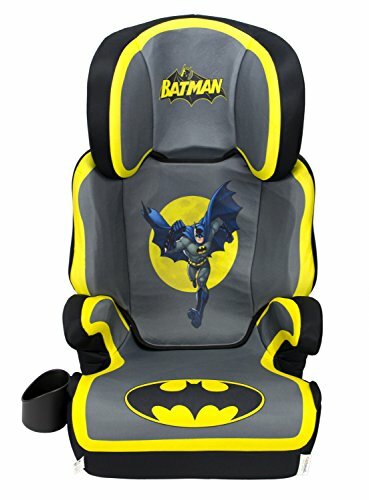 This Batman is seat is fantastic for the small toddler that dreams of being super hero, available in many DC and Marvel Comic themed styles. 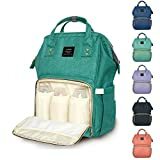 KidsEmbrace make some of the best cheap car seats under $100 price for children. 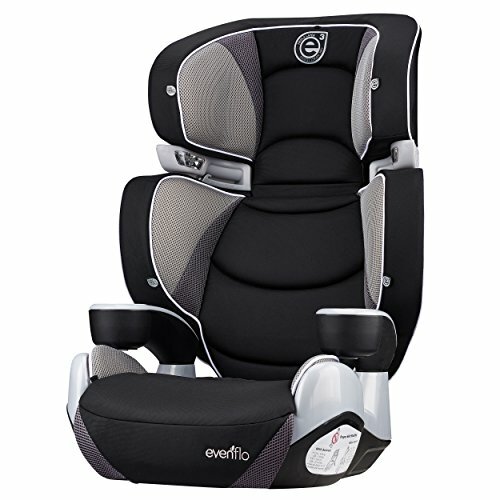 The Evenflo Big Kid High Back Booster Car Seat is another very simple, straight-forward seat that is comfortable and safe. 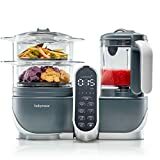 There’s nothing terribly fancy about it but, then again, it’s also very tough to beat its price. 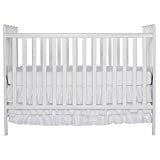 It has 6 height adjustment positions so it will expand as your kid grows and also transitions into a no-back booster. 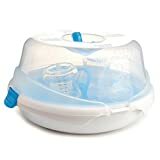 There’s extra padding around the head and body to keep your child comfortable and features a cup holder. 2 seats in 1 – removable back for easy transition to a no-back booster. 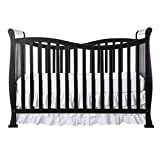 Easy, one-hand, 6-position height adjustment to accommodate growing children longer. Designed and tested for structural integrity at energy levels approximately 2x the -federal crash test standard. 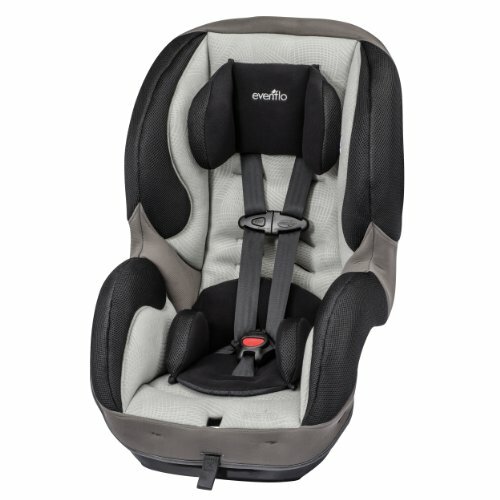 A no-frills seat for the bigger kids, the Evenflo Big Kid High Back Booster, Naperville is simple, straight-forward, safe and will likely be the last car seat your child will ever need and certainly one of the best cheap car seats under 100. Yet another entry from KidsEmbrace with this line of seats featuring Disney characters. 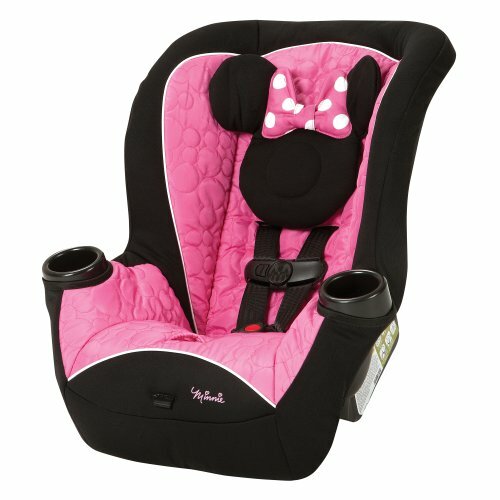 The Disney KidsEmbrace Combination Toddler Harness Booster Car Seat, Minnie Mouse is exactly the same model as the DC version, identical specifications and features and, most importantly, will make a parent’s life easier since a child will actually enjoy sitting in a seat with a Disney friend. The Disney KidsEmbrace Combination Toddler Harness Booster Car Seat, Minnie Mouse is another KidsEmbrace seat for the child that wants a theme for their seat, this time with Disney characters. 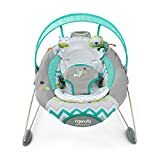 The Evenflo securekid is a 2 for 1 booster car seat and another best cheap car seats under $100 list chosen candidate. This seat can be used as a harnessed booster or it can be used in conjunction with your car’s seat belt. 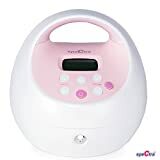 The Securekid can be used for children weighing anywhere from 22 pound up to 110 pounds. 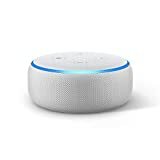 It’s another simple seat from a good company that is safe and just feels like it’s high quality. 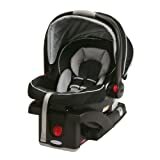 For kids above 2 years old, the Evenflo SecureKid LX Harnessed Booster Car Seat, Kohl, Grey/Black/Red is another simple and safe seat that is a great value for the money. This Disney-themed seat is a bit different than the others simply because of it’s very unique, very fun retro styling. It’s a belt-positioning booster with an adjustable headrest that can be customized as your child grows. 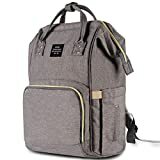 Once they’re big enough, you can convert it into backless mode for use up to 100 lbs. 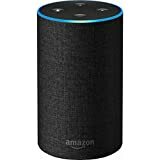 and 57”. There’s a lot of value in this seat. One of the most stylish booster seats available, the retro look is sure to please even the most discriminating toddler. 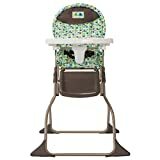 The Disney Pronto Booster Seat, Retro is one of the best cheap car seats under 100 dollars that you can find anywhere for toddlers. 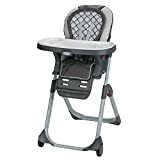 Put succinctly, the Eddie Bauer 3-in-1 Booster Seat, Gentry is a very solid car seat from a very solid manufacturer available at a bargain price – to say the least. 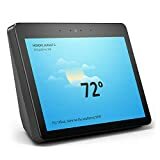 It’s subtle, highly functional, and will perform exactly as you want it to given the price. 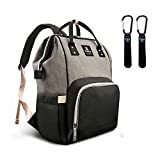 It can be switched from rear-facing to forward facing, has a very deep pocket for comfort and safety and is very easy to remove from the car for those times when it just makes more sense to take the entire seat with you. 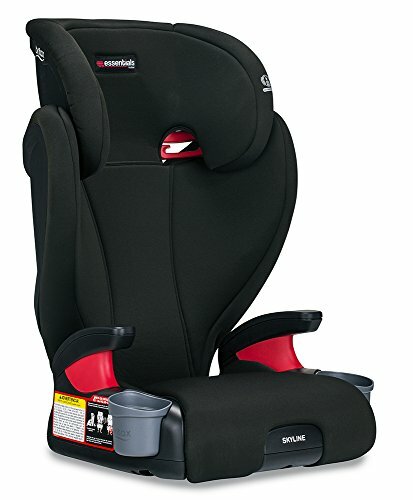 This seat at this price is tough to beat and surely one of the best cheap car seats under 100. 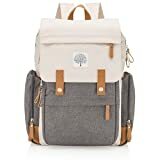 Usually a name associated with higher priced models, the Eddie Bauer 3-in-1 Booster Seat, Gentry is a steal if found on sale below $100. The Evenflo Big Kid AMP Booster Car Seat is one of the ALL TIME BEST SELLERS on Amazon and there is no way anyone can avoid including it among the best cheap car seats on the market. 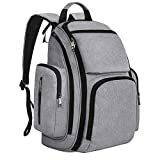 It is designed to keep children between 30 and 110 lbs safe while traveling by car as highback booster and 40-110lbs as backless booster. 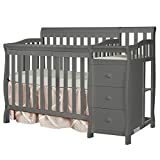 It has a 6-position height adjustment to accommodate children between 38 and 57 inches tall, so the seat can definitely grow with your child. It also includes dual cup holders and a removable seat pad that’s machine washable. The removable back allows the seat to transition to a no-back booster when your kid gets bigger. 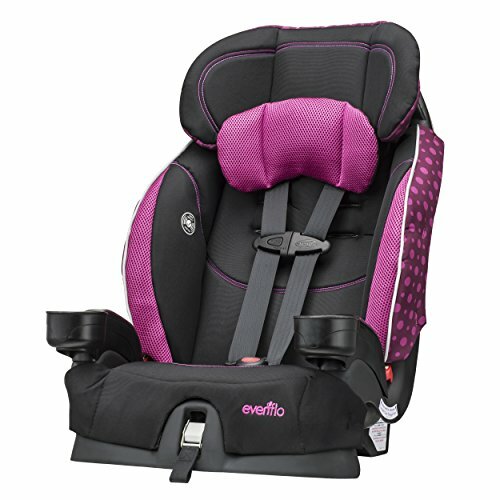 A perfect choice for the sporty toddler, the Evenflo Big Kid AMP Booster Car Seat is athletic look and feel are great for the little athletes in training. 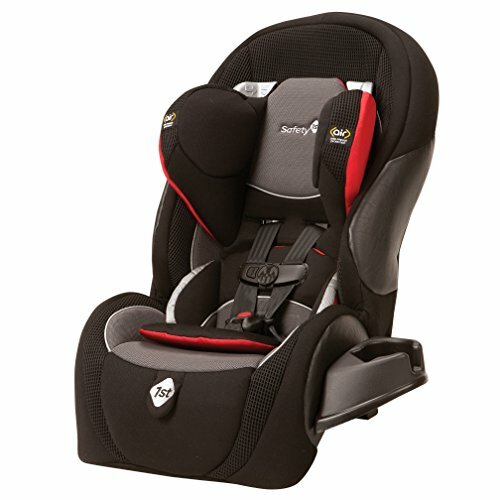 The sporty styling makes it one of the bargain best cheap car seats under 100 dollars. 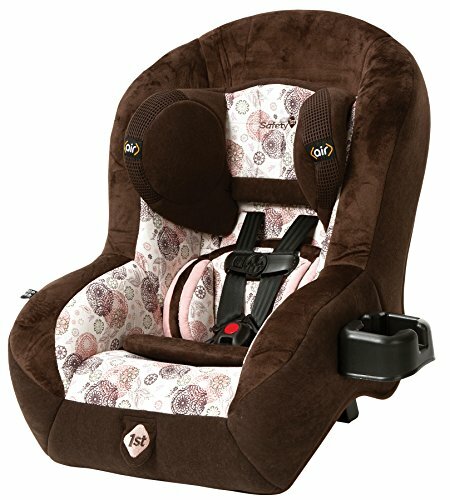 With hundreds of positive reviews and sastified customers, you can beat this car seat for the money! 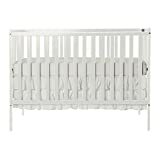 The Cosco Scenera NEXT is a very simple seat for the parents that know exactly what they want. 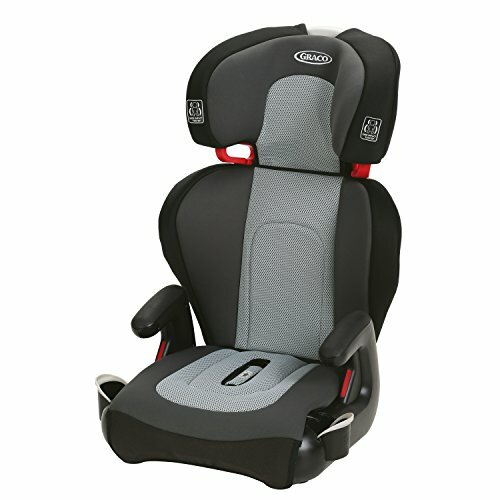 It has Side Impact Protection built into the headrest and a five-point harness that adjusts from the front of the seat. Cosco goes out of their way to be certain you know the seat is also appropriate for airplanes and meets all of those additional standards. 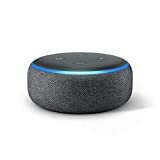 It’s a very light seat, easy to move around, and is thankfully very easy to clean. 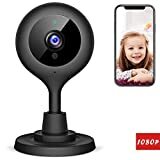 This is a great choice for the family that travels a lot. 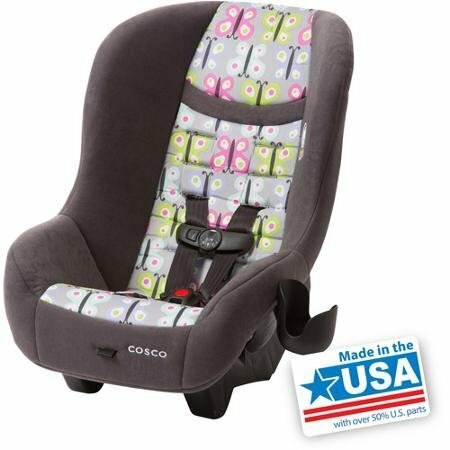 The Cosco Scenera NEXT Convertible Car Seat with Cup Holder Candy Apple Red is another seat that’s no-frill, simple, elegant and safe. A very good buy which earns it a spot on our list of top 25 best cheap car seats under $100 price. 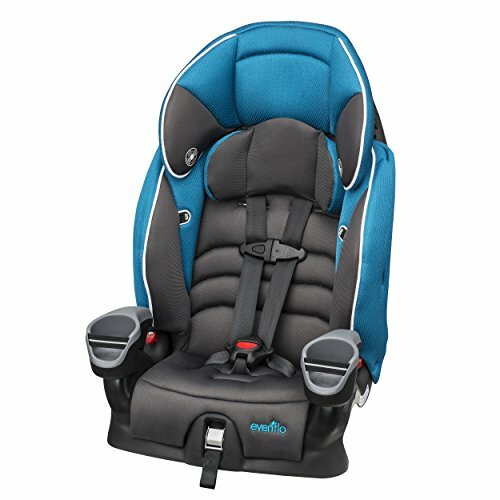 The Diono Cambria Highback Booster Car Seat is specifically designed to keep kids cool while in the car with features that are built-in to increase airflow around your child’s head. 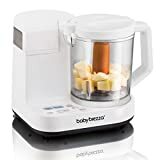 It can switch between a high back booster and backless booster, depending on the size of your child. The seat belt also has a convenient twist, offering adjustable buckles that can be used both vertically and horizontally. 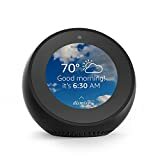 It has 6-position headrest adjusts up to 6.5 ” in height with one hand for an easy, precise fit. With everything being so adjustable and also including the retractable snack and cup holders are within easy reach without being in the way, the Diono Cambria Highback Booster Car Seat is a great choice for increased comfort and convenience. 6-position headrest adjusts up to 6.5 ” in height with one hand for an easy, precise fit. 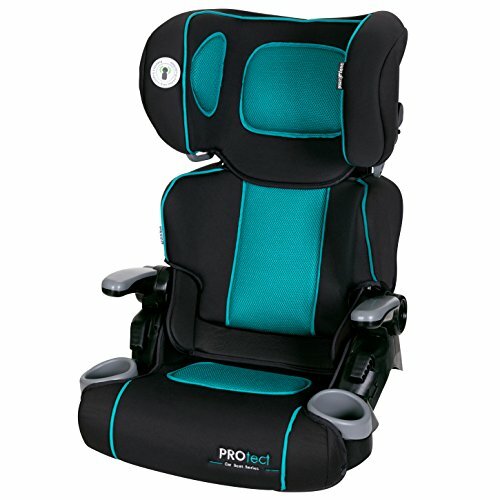 A very comfortable seat for bigger toddlers, the Diono Cambria Highback Booster Car Seat is great for keeping your kid cool on hot cars rides. The comfort factor makes it one of the best cheap car seats under $100 for toddlers. 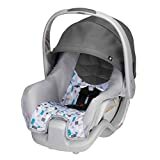 Dont let the position placement of the Chicco KidFit 2-in-1 Belt Positioning Booster Car Seat fool you; because this Chicco Car seat a great all-around seat and certainly one of the best cheap car seats you can get for less than 100 bucks. 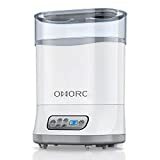 It offers a combination of comfort, ease, cleanliness and function. 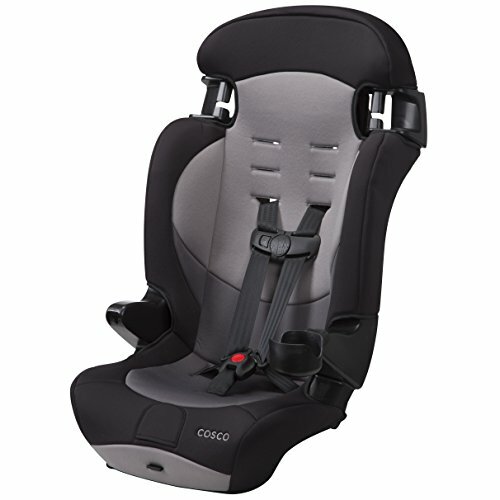 As with many other Like other Chicco car seats, KidFit includes SuperCinch LATCH attachment and one-pull tightener, which helps keep the seat in place for easy loading and unloading. 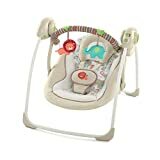 Other features included with this Chicco KidFit 2-in-1 Belt Positioning Booster Car Seat are easy-to-use vehicle belt guides, seat recline, and a removable backrest for use as a backless booster – making it great for the money, is a very good choice and will perform well. 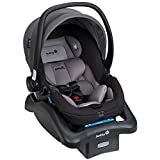 Built strictly for comfort and safety, the Chicco KidFit 2-in-1 Belt Positioning Booster Car Seat is simple, cheap and great for what it’s supposed to do. As our list demonstrates, you don’t have to break your budget to find the best affordable, high-quality car seats for your newborn, toddler or young child. 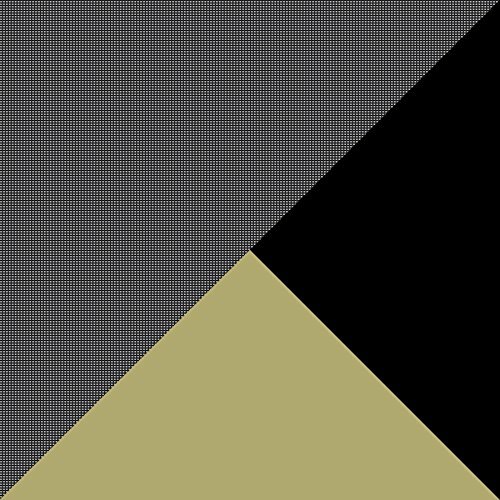 With the research we’ve done, we hope we have been able to make your life a bit easier and removed some of the worry involved in choosing a car seat. 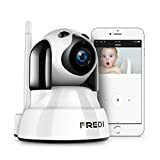 You love your child, want them to be safe, healthy and grow into people you are proud of. 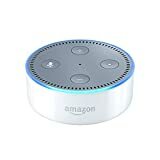 Any choice off of our top 25 best cheap car seats under $100 list will help them get to that point by ensuring their safety in cars as kids. 3-IN-1 CAR SEAT - The Safety 1st Alpha Omega Elite 65 Convertible Car Seat gives parents extended use through 3 stages: Rear-facing 5-40 pounds, Forward-facing 22-65 pounds, and Belt-positioning booster 40-100 pounds..
SIDE IMPACT PROTECTION - The Safety 1st Alpha Omega Elite 65 Convertible Car Seat includes side impact protection so that you can rest easy knowing that your little one is safer in the car. 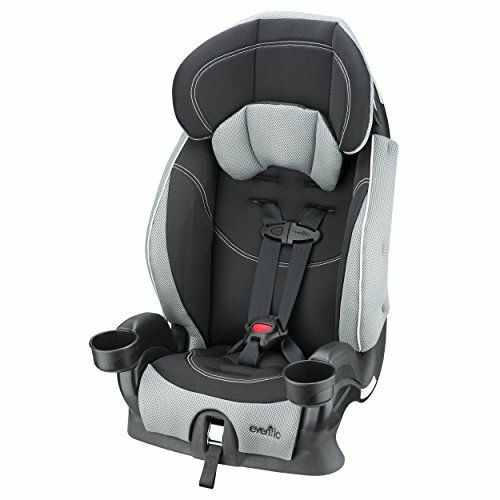 COMFORT AT EVERY STAGE - With an adjustable 5-point harness and a 3-position recline, this convertible car seat adapts to fit your little one as they grow from baby to school age. 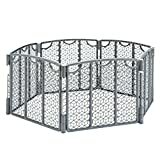 Belt-positioning booster: 40-100 pounds and 43-57"
KEEP KIDS SAFE THROUGH TWO STAGES - Forward-facing 22-40 pounds and Belt-positioning Booster 40-80 pounds. 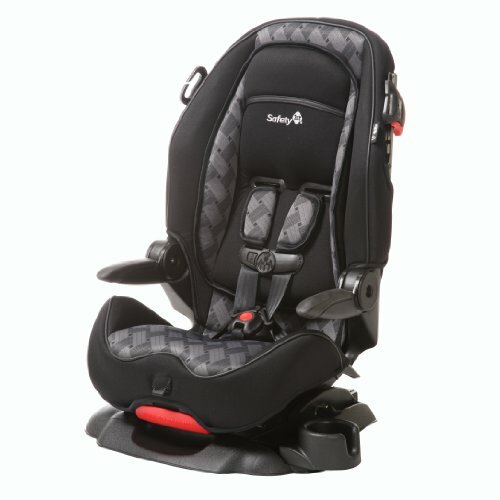 Use the 5-point harness for smaller children and convert it to a belt-positioning booster seat as they grow. 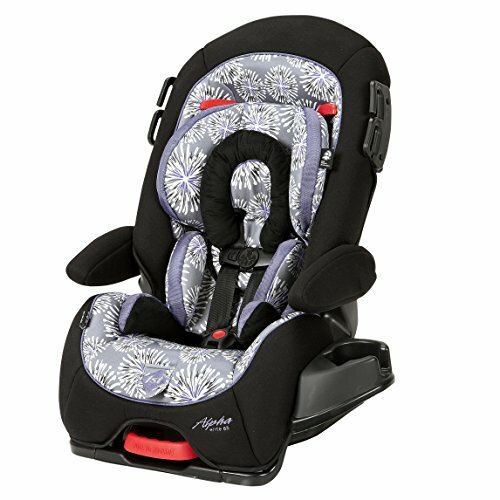 2-IN-1 SAFETY SEAT - The Highback Booster is LATCH equipped and features a 5-point harness that can be adjusted from the front. As the child grows, simply remove the harness to use it as a belt-positioning booster car seat. 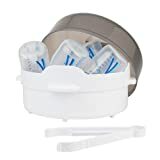 SHOULDER BELT GUIDES - While in belt-positioning booster seat mode, the shoulder belt guides provide parents with two options for threading the vehicle seat belt to give children of different heights a better fit.